The CFX card is 29.6 mm wide, 38.5 mm high and 3.8 mm thick and therefore much more compact than its two predecessors, the Compact Flash (PATA interface) and CFAST (SATA interface). The integral PCIexpress Gen3x2 interface can reach speeds of up to 1970 MB/s. By comparison, the SATA interface can only reach speeds of approx. 500–550 MB/s. Capacities of 120 GB to 480 GB are currently available. The portfolio will soon feature a 1 TB version. Start developing new designs today using the technology of tomorrow. We would be glad to provide adapter boards so that you can integrate the new CFX standard in your design straight away. 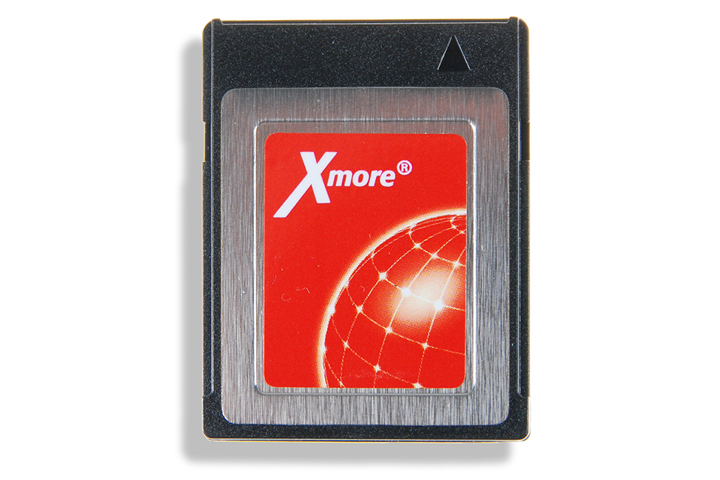 Additional information about Xmore® CFX cards is available on request.